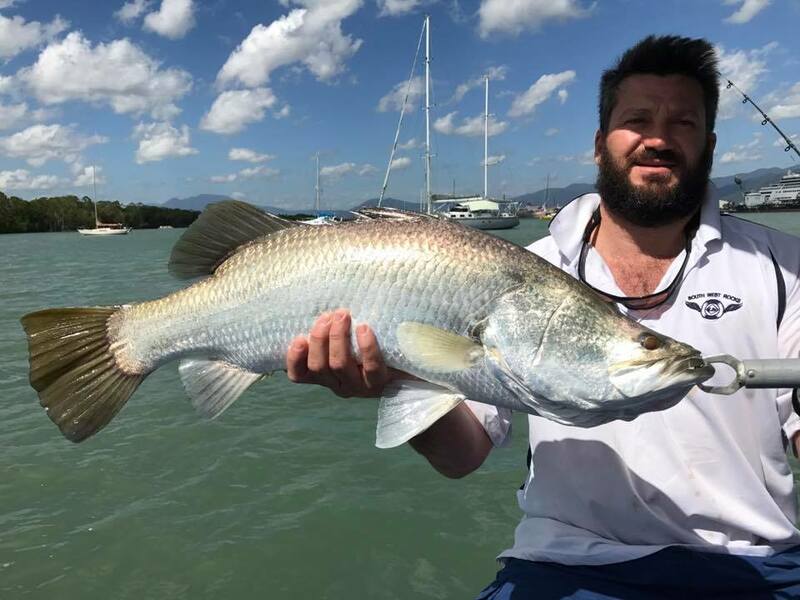 All Tackle Sport Fishing is skippered by your guide Justin Gibbins, he has been a professional fishing guide for over 20 years in the Cairns area and also has a lifetime of fishing experience in our local waters. Very few people have spent as much time in Trinity Inlet and other local rivers. PRIVATE CHARTERS ALSO AVAILABLE – P.O.A. 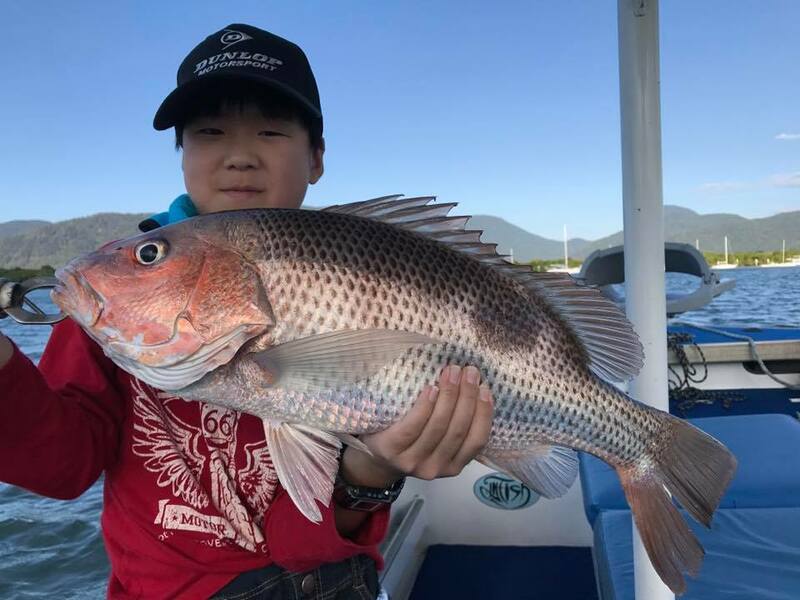 Our local harbour (Trinity Inlet) offers some of the best Sportfishing opportunities imaginable at certain times of the year. 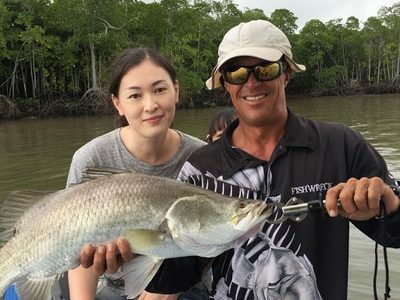 To begin your trip you will gather live bait which is done with a castnet. Live bait consists of prawns,herring,mullet and sardines. This is generally a fairly quick exercise. 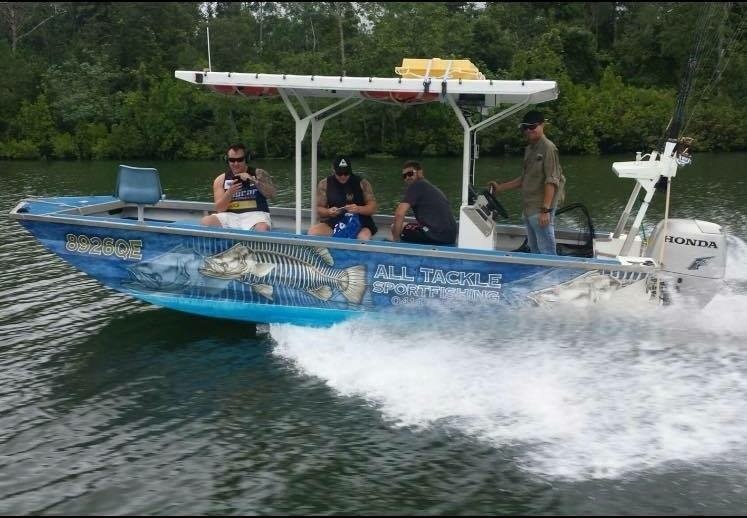 After bait has been gathered it’s time for the fun to begin. Just sit back and relax and let’s find a suitable location to start with careful consideration to the tidal and prevailing wind conditions on the day. Justin encourages catch and release, however, if you want to take your catch it will be cleaned and iced ready for consumption. 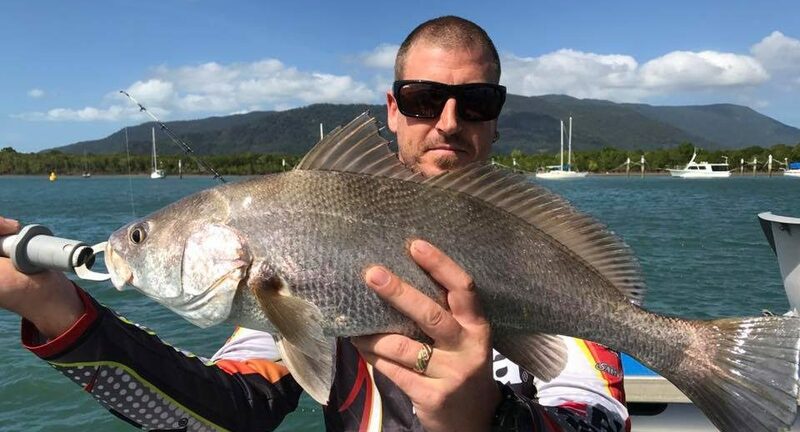 Different species of fish have different size limits, however your guide is up to date with this matter. With over 90 km of waterway at our door don’t forget to bring a camera and hat as you never know when you will see a saltwater crocodile sunning itself or even some of the amazing birdlife. Full day Estuary: The same as the half day trip, but we return to the Marlin Marina at 12 pm for a short break. Clients can go and dine at one of the numerous cafes along the waterfront for approximately 1 hour and then it’s back on the boat to continue the afternoon session. You begin your day at approximately 6:30am with a pickup from city accomodation (via arrangement) then drive south of the city making your way towards The Mulgrave/Russell (Johnstone/Mourilyan harbour) rivers. Spectacular scenery is just the beginning as you venture along the highway to your destination. Upon arrival it’s time to stretch your legs and the boat is launched. Bait gathering is the next job. Live sardines/herring/mullet and occasionally prawns.